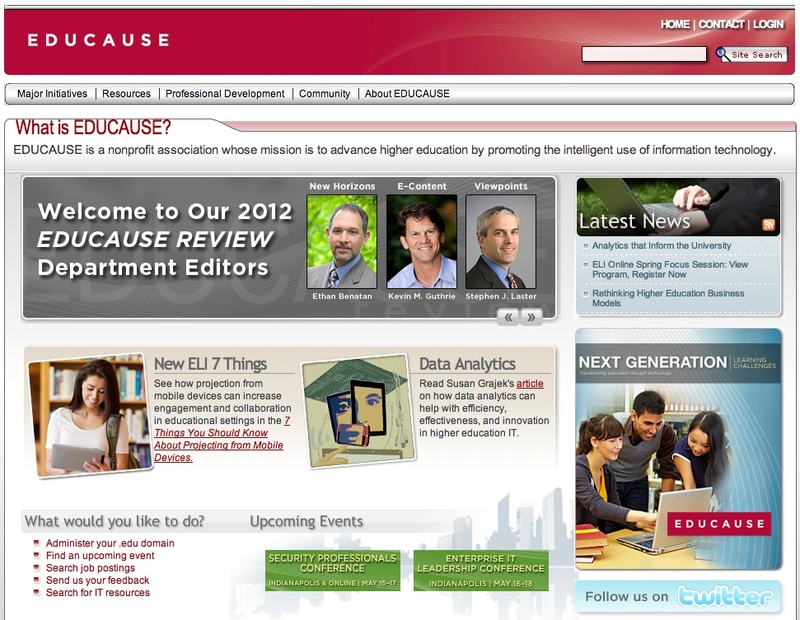 EDUCAUSE is a nonprofit association whose mission is to advance higher education by promoting the intelligent use of information technology. Membership is open to institutions of higher education, corporations serving the higher education information technology market, and other related associations and organizations. The current membership comprises more than 2,200 colleges, universities, and educational organizations, including 250 corporations, with 17,000 active members. The association’s activities include print and electronic publications, e-tools, research projects and more. Managed by an experienced team, with offices in Boulder and Washington, this website is a very useful tool for those who want to learn how to improve high education teaching methodologies by using the ICTs. Full access to the site requires an institutional affiliation, but a large amount of material is freely available, including full books in pdf format.